This Saturday marks the 388th anniversary of the fabled purchase of the island of Manhattan. The purchaser was Peter Minuit, director-general of the Dutch West India Company; the seller is shrouded in mystery--one or more representatives of the local Lenape tribes, certainly, but who? Because the deed was discarded in the 19th century, we can only speculate. What we do know, from a letter written by Peter Schagen, is that Minuit bought the island for 60 guilders worth of trade goods. Two hundred years later, 60 guilders was translated into $24, and that number has stuck with us ever since, as evidenced by the Bizarro comic reprinted above. While the deed is gone, we can guess as to what Minuit used for barter--common items included axes, knives, guns, and other metal objects, along with wool, duffel, and alcohol. Wampum was often a trade good, but "beads and trinkets" (as is often referenced) were not. 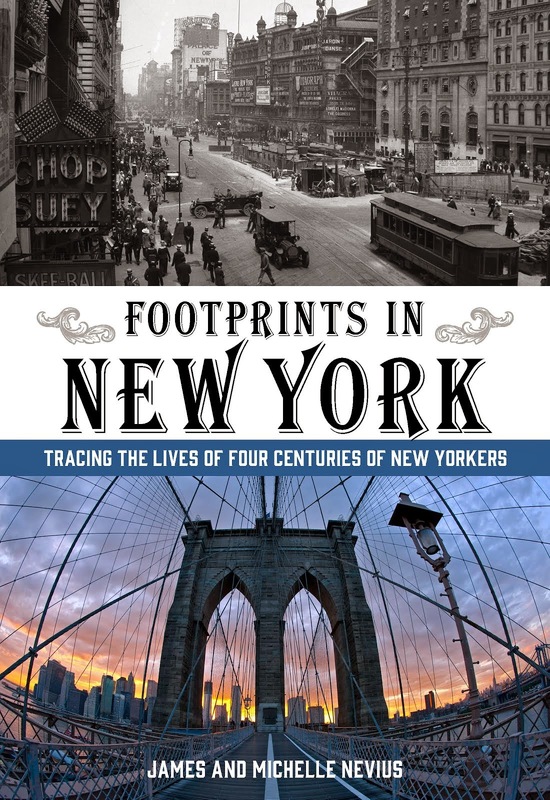 If you are interested in this story, the first chapter of our new book, Footprints in New York, talks extensively about Minuit, the 60 guilders, and what that would be worth today. It's available at fine bookstores everywhere. Seems unlikely that $24 worth would include guns and knives (at least good knives). I mean, how much stuff can you buy for $24? 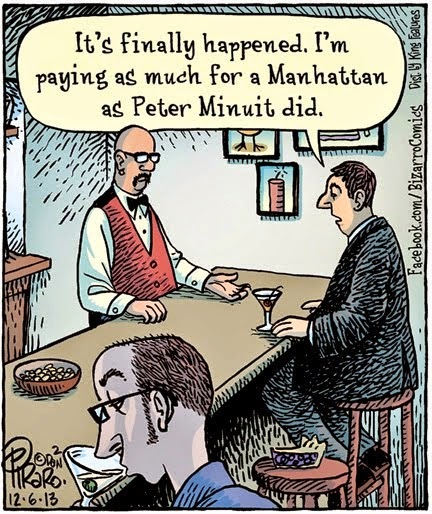 Perhaps it included a martini.